2.The hearth is made up of Alumina fiber panel,which is good at preserving heat.lts features include;quick temperature rising (within 40 minutes),lasting warmth and constant temperature.Compared with traditional furna-ce,it can save eneray by 50 percent. 3.it adopts intelligent temperature,controlling panel and PHD,which controls temperature precisely.Itfeatures overheat protection and programmed meter for temperature rating can beequipped. 4.Possess current estrangement,cushion exceed dynamical function and appropriative electric power measure. 5.It insulates heat by air. The low temperature of furnace body,confect creepage safeguard equipment,makes sure security. 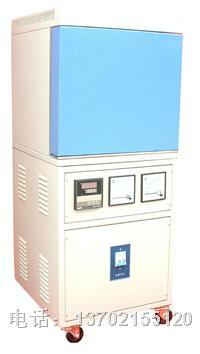 6.Eiectric furnace and controller are integrate,convenient to operate.